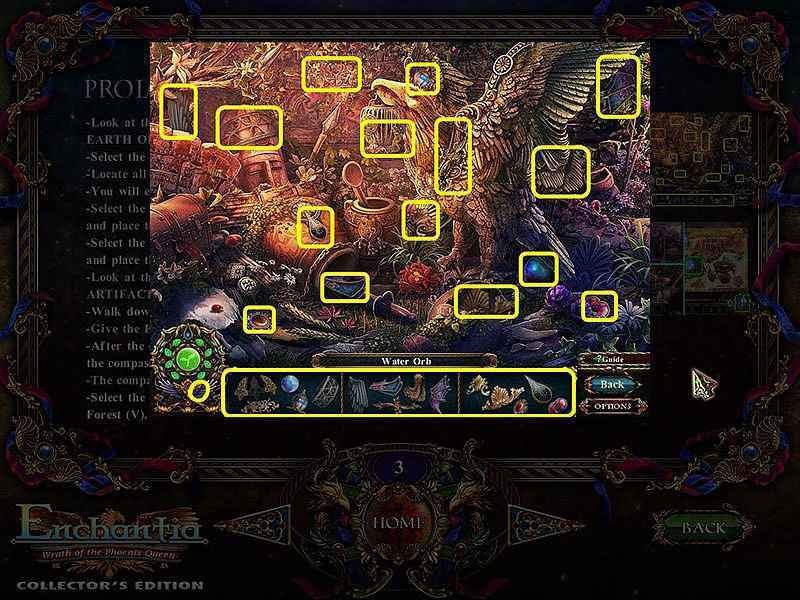 -	Look at the statue in the center, move the head up, then take the EARTH ORB (M). -	Select the area on the right for a HOS (N). -	You will earn the WATER ORB. -	Select the green shield to make a clawed hand appear, then zoom in and place the EARTH ORB in the hand (P). -	Select the blue shield to make a clawed hand appear, then zoom in and place the WATER ORB in the hand (Q). 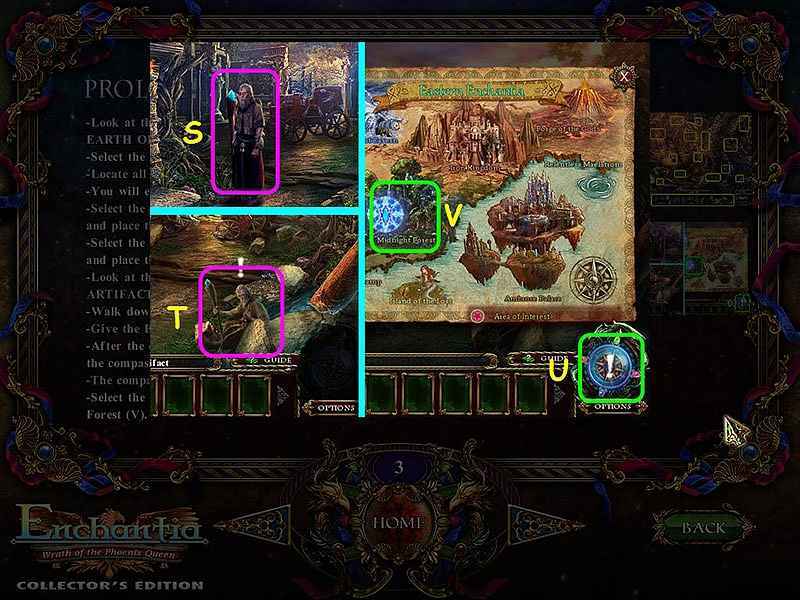 -	Look at the base of the statue and take the ELEMENTAL ARTIFACT (R). -	Give the ELEMENTAL ARTIFACT to the Professor (S). -	After the cut-scene, talk to the professor again and you will receive the compass (T). -	The compass will go in the right corner of your menu bar (U). -	Select the compass to bring up the map, then select the Midnight Forest (V).